And while they will make the fight more difficult, they are also a backhanded tribute to the dogged effectiveness of millions of activists, who by trial and error have figured out some of the flaws in the fossil-fuel death star. The battle over fossil-fuel infrastructure, for instance, kicked into a higher gear with the Keystone XL pipeline. 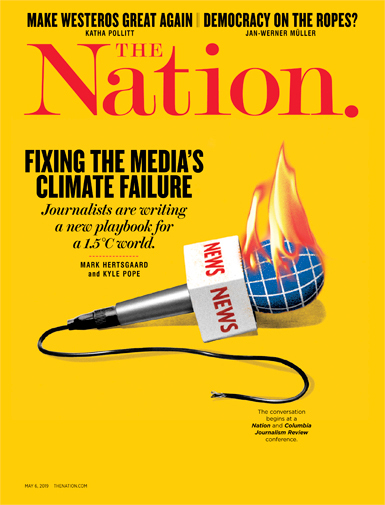 In 2011 climate activists joined indigenous groups and Midwest ranchers who had launched the battle, in an attempt to nationalize the fight. I wrote the letter asking people to come to Washington and get arrested; at the time it seemed folly to many, since the oil industry had never been blocked from building something it wanted. When the National Journal polled its DC “energy insiders,” more than 90 percent said TransCanada Corp would soon have its permit. But then more people ended up in handcuffs than at any protest about anything in years—and soon KXL was a national cause. It’s still not built, which means 800,000 barrels a day of the dirtiest oil on earth has stayed safely in the ground. But more to the point, the protest showed that Big Energy was not bulletproof—now every single pipeline, frack well, coal mine, and LNG port gets fought and fought hard. Often we win—plans for five big coal ports in the Pacific Northwest were defeated one after another by brilliant activists, meaning that there’s no easy way to take the massive deposits of the Powder River Basin off to Asia. And so that fight goes on: Right now, as Trump tries once more to push KXL, indigenous groups and others are organizing a Promise to Protect tour, New Yorkers are battling the Williams pipeline, and the Sunrise Movement is out rallying the country behind a Green New Deal that would end the construction of new fossil fuel infrastructure. Divestment is a similar story. 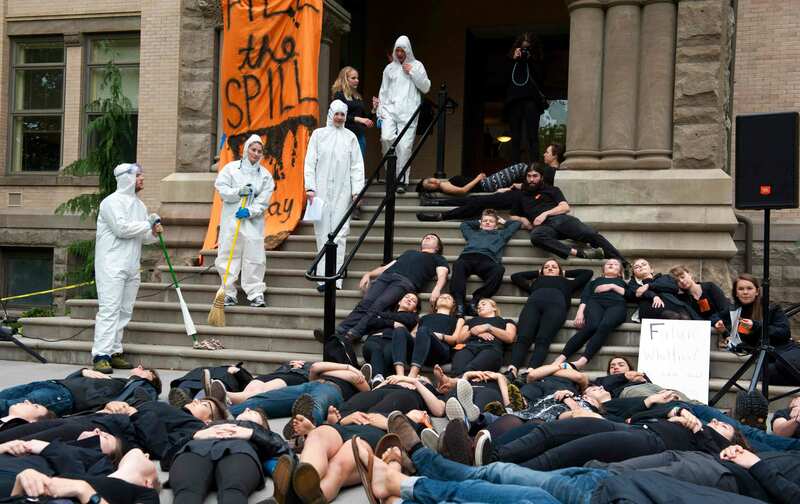 In the fall of 2012, some of us organized a tour around the country to launch campaigns asking universities, churches, cities, and states to sell their holdings in coal, oil and gas companies. It took off beyond our wildest imaginings, crossing the planet to become arguably the largest anti-corporate campaign in history: At this juncture, portfolios and endowments worth $8 trillion have now divested in part or in whole. It’s been made easier by the fact that those who divested are making bank, as fossil-fuel stocks fall in the face of ascendant renewables. A poster at last Friday’s surging school strikes for climate read: “You’re Burning Our Future.” And in the process, the money of investors. You understand why the Trump administration wants to fight back against divestment, because it too is taking a deep and real toll: Shell Oil last year described divestment as a material risk to its business. Reporters at the annual energy conference in Houston this year quoted one coal executive after another alarmed that their financing was drying up. “It’s made [it] more difficult to get funding for power stations, or it’s more difficult to get funding for mines, or it’s more difficult to get insurance, or there are investment funds that because of a certain set of objectives just want to withdraw from companies that have any or a certain part of fossil fuels from their portfolio,” said Howard Gatiss, CEO of CMC Coal Marketing, a joint venture of coal producers BHP, Anglo American, and Glencore to sell Colombian coal. The same spirit that takes on investors is also going after banks: In Seattle last week protesters disrupted every one of Chase’s 44 branches to commemorate the fact that they were the biggest fossil-fuel lenders in the country. Now attention is turning to the vast insurance industry as well—not only do insurance companies invest piles of capital in fossil fuel, they do it while recording the ever-greater toll of climate disaster on people’s homes, businesses, and lives. And organizers inside Amazon convinced thousands of employees to sign a letter to the boss telling him to stop helping the oil industry find new deposits. If you’re trying to profit off the end of the world, people are going to fight back. None of this means we’re winning that fight, of course—the fossil-fuel industry still has enough political juice to fend off the mortal threat of ever-cheaper renewables. But we are clearly slowing them down, complicating their lives, altering the balance of power. I’m proud of the fact that I wrote the first book about climate change, way back in 1989, and I still think books are important—my 30-year update will be published next week. But I’m not proud that I wasted the 15 years after that first volume thinking we were in an argument that would be won with more reason and more data. We weren’t—we were in a fight about money and power that can only be won by standing up to this most destructive of industries. That fight has spread around the world, and it accelerates every day. And for the first time in his presidency I’m grateful to Mr. Trump—with his executive orders he’s buoyed our spirits about the damage we’ve done in the last 10 years and given us our marching orders for the decade ahead.